Lisa Peck brings over 30 years of Human Resources experience to her role an Associate with our Career Transition practice. Her understanding of a wide array of HR disciplines ideally position her to support clients navigating job loss and uncovering new opportunities. Lisa has held a variety of progressive HR roles within the Federal Government, including National Defence, Veterans Affairs, Fisheries and Oceans, Canada Border Services Agency, Public Service Commission, NS Federal Council. Most recently, she was Manager of Human Resources with the RCMP. She has experience in recruitment, labour relations, performance management, HR planning, employment equity and diversity, mentoring, talent management and succession planning. Lisa has a long history of developing and maintaining strong, professional relationships with clients and networks with diverse stakeholders and colleagues. 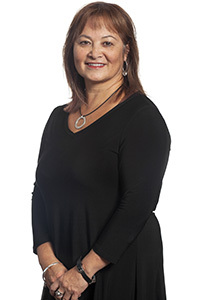 Lisa is a strong alumna of Acadia University, where she earned her Bachelor of Business Administration, Today, she is a member of the Board of Directors for the Acadia Alumni Association. She also volunteers with the Women’s Canadian Progress Club Halifax-Citadel supporting local women and children charities where she is engaged in a number of sub-committees and community service. In her spare time Lisa enjoys fitness, travel, music and spending time with family and friends. She currently resides in Dartmouth and has two grown boys.